The Assam Skill Development Mission has dispatched a new recruitment notification. Finally, the ASDM Recruitment 2017 Notification has released. This is the best career opportunity for the Assam people. Candidates who are interested in Assam Government Jobs should apply for ASDM Recruitment 2017 before the last date. The ending date for submitting the application form is 12th October 2017. The candidates education qualification must be MBA/ PGDM/ MSW/ PGD in Rural Development Management/ MA – Sociology/ BE/ B.Tech. Job Hunters who are finding for Government Job this is a great opportunity. The candidates who are from Assam State have to fill the application form. Interested candidates can apply for 40 District Project Manager, Project Manager Vacancies. Qualification necessary to apply for ASDM Jobs 2017. Candidates can get complete details such as Education Qualification, Age Limit, Selection Process, Application Fee, Pay Scale. All the complete ASDM Recruitment 2017 Details is clearly mentioned in this article. To submit the application form each and every aspirant must check the eligibility criteria and submit the application form before 12th October 2017. The applied aspirant’s selection process will be based on written exam and personal interview. 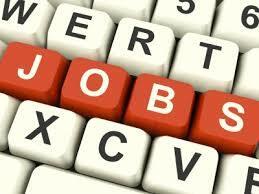 Willing aspirants can apply 40 District Project Manager, Project Manager Vacancies. Assam Skill Development Mission is looking for desired candidates for District Project Manager and Project Manager Posts. The candidates who are applying for ASDM Recruitment 2017 must collect the entire stuff which is provided on this page. The applying aspirant’s minimum age limit is 30 years and the maximum age limit is 40 years. The age relaxation is as per Assam Skill Development Mission norms. The candidates must have Minimum 3 years experience in the delivery of training programs through Training Services Providers (TSPs). Job Seekers who met their eligibility must apply for ASDM Recruitment 2017. Candidates have to refer to the official advertisement which is provided at the end of the page. By visiting, the official website of Assam Skill Development Mission aspirants can apply. Candidates who are looking for Latest Government Jobs in Assam they have to utilize this chance and apply for ASDM District Project Manager, Project Manager Jobs through online mode. According to the official notification, the applied candidates need to face Written Exam and Personal Interview. This is one of the great probability for the contenders who want to make their career in the government sector. The process to apply for ASDM Recruitment 2017 Notification is the online mode. Post Wise Education Qualification details is given in the below section. The Assam Skill Development Mission has released a notification for the District Project Manager, Project Manager Posts. If you are seeking for Assam Government Jobs then have to apply for this ASDM Recruitment 2017 Notification. Eligible and deserving aspirants must grab this chance. To recruit the talented candidates into the Assam Skill Development Mission organization the authority is going to conduct written exam and personal interview. As per the notification, the organization has started receiving the application forms. The Assam Skill Development Mission are looking for the deserving candidates for District Project Manager, Project Manager Posts. Before filling the ASDM Application Form, the aspirants must know all the information. The candidates who are interested in applying for ASDM Openings 2017 must read the entire article. The candidates who got selected for District Project Manager, Project Manager Jobs they will receive good salary package. The candidates will receive Rs. 25000/- per month along with grade pay. So, the organization has an offering amazing salary for the selected candidates. The organization will receive the online application forms until 12th October 2017. If you have any queries just comment in the below comment section. The candidates selection process should be based on written test and interview. Minimum 3 years experience in the delivery of training programs through Training Services Providers (TSPs). Preference will be given to those with experience in institutions like ITIs/TSPs/Polytechnics. Familiarity in English, Local Language and in ICT usage skills. Should have demonstrable experience in interfacing with multiple media agencies and should have co-ordination skills. District Project Manager – Training: The Minimum and Maximum Age limit is 30 to 40 years. Project Manager – Social Mobilization: The Minimum Age Limit is 20 Years and the Maximum Age Limit is 40 years. The Age Relaxation is as per Assam Government Rules and Regulations. The applied candidates must face all the recruitment rounds conducted by Assam Skill Development Mission officials. To recruit the talented candidates for the Project Manager Posts the organization is going to conduct written exam and personal interview. The applied candidates who got selected for Project Manager Posts they will receive Rs. 25, 000/- per month. The candidate who is interested to apply for ASDM Jobs 2017 must visit the official website of Assam Skill Development Mission that is asdm.assam.gov.in. Look for the ASDM Recruitment 2017 Notification for the Project Manager posts. Read the details and download the application form. Fill the form by entering the required details. Recheck the information and submit the application form. And take a print out for further usage. The Starting Date to Fill the ASDM Application Form: Started. The Final Date For Submitting Online Application Form: 12th October 2017.